In an eagerly anticipated rollout, Mayor Michael Nutter announced the official name and corporate sponsor of Philadelphia’s bike share program: Indego, brought to you by Independence Blue Cross. Flanked by Deputy Mayor for Transportation Rina Cutler and IBX CEO Daniel Hilferty, Mayor Nutter unveiled two Indego prototypes and some new details on the entire system. As previously reported, riders will be able to start taking an initial count of 600 Indego bikes on trips to 60 bike dock locations across town sometime in April. Over time, the system is expected to expand to 180 locations with 1,800 bicycles. Nutter praised the efforts of First District Councilman Mark Squilla and Councilwoman-at-large Blondell Reynolds Brown for getting the bike share bill through. Squilla represents a large chunk of South Philly, which has the highest share of bike commuters in the city. But, as PlanPhilly’s Jon Geeting noted earlier, only 10 of the initial 60 docks will be located south of Washington Ave. Independence Blue Cross is paying $1.7 million a year for five years for sponsorship rights, which will largely cover the operational expenses. The region’s largest health insurance provider will have its name and logo featured on baskets on the front of the bikes and on the bike dock locations. Those IBX branded baskets bear noting: Indego bicycles will feature small mesh baskets on the front of their handlebars, a feature lacking on DC’s Capital Bikeshare; NYC and London’s bikes have a small area on the handlebars that could maybe hold a large bag, but anything else only at the owner’s peril. The Independence sponsorship pales in comparison to the amounts New York City’s Citibike and London’s Barclays Cycle Hire received from their eponymous financial institutions: $41 million over 6 years, and $38 million over 5 years, respectively. But like the cities they inhabit, both those bike share programs dwarf Philadelphia’s – New York has 6,000 bikes lockable at 332 locations, and London 10,000 at 720. Many cities, such as Montreal’s Bixi and Washington’s Capital Bikeshare, don’t have official sponsorships for their bike shares programs, although they do have some advertising at the dock stations. Despite not having a flashy corporate sponsor, the DC’s program is expected to turn a modest profit this year. While a detailed price scheme wasn’t announced, the Mayor’s comments revealed that Philadelphia is taking a somewhat unique approach to payment. Philadelphia’s Indego will feature 30-day memberships, which can be automatically renewed and will include free rides of up to an hour. Most systems don’t charge – excluding the necessary membership fee – for just the first 30 minutes. Tourists and irregular riders will be able to pay a walk up fee and pay on a half-hourly basis, like most other bike share systems. There will also be fee-per-ride memberships, another feature separating Indego from most bike share programs. Most bike share systems essentially subsidize regular riders who sign up for long-term memberships with fares from spot riders like tourists. In DC, a daily membership costs $7 with the first 30 minutes of a ride free, meaning a savvy tourist can chain a few short trips around the District for just $7 a day. But someone with a $75 annual membership doing the same is paying less than a quarter a day. As the Washington Post’s Wonkblog noted, part of Citibike’s early hiccups was that it had so many long-term members (over 100,000) and not enough casual users. New York’s system also suffered from initial computer glitches, a problem Philadelphia would do well to avoid. The difference between making the first hour and first half-hour free isn’t trivial, and will make the system more useful in eventually connecting the far Northwest neighborhoods into the system: a ride from the East Falls to the Art Museum takes about 30 minutes and Manayunk is closer to 45. That said, none of the initial dock stations will be located that far away to start: the first sixty stations will all be found in an area with rough boundaries of the Navy Yard in the south to a bit above Temple to the north, the Delaware on the east and locations beyond University City to the west. At the time of launch, 20 docking stations will be in low-income neighborhoods, said Mayor Nutter. More notably, Philadelphia’s bike share system will be the only one in a major city that will allow users to pay with cash instead of a credit or debit card, which many lower income residents don’t own. This will improve the system’s accessibility and use among these citizens, but it might be a missed opportunity to fix the underlying problem: DC’s Capital Bikeshare program directs those without cards to Bank on DC, a non-profit that helps provide fee-free banking services to lower income residents. More worrying, it's still unclear how Indego’s operators will discourage theft by riders that pay with cash. Previously, MOTU officials said those individuals would need to provide a name, but its unclear how the automated system would verify that information. Regardless of the deal details or nerves about the eventual rollout, there is one clear success already: the name. Indego is a great name. Really, Indego is a shockingly good name, hinting at the freedom urban bicycling provides, while also ably promoting the sponsor’s brand, which also adorns the Broad Street Run and other healthy lifestyle initiatives. More importantly, Philly’s Indego is miles superior to New York’s clunky juxtaposition, Citibike, which only serves to remind you in America’s largest city that you are still in a city. Worse still is London’s bulky Barclays Cycle Hire (at least for now – the sponsorship ends this year and a new sponsor hasn’t been named). Given the name’s unwieldiness, its no surprise that London’s bulky, bright blue bicycles are better known as Boris bikes, after the mop-topped mayor who ushered in the program (then again, Londoners give nicknames to everything: they call their underground train the Tube, this building is the Gherkin; their police are “bobbies” and a charming, bearded young American studying abroad there, “that loud drunk guy”). 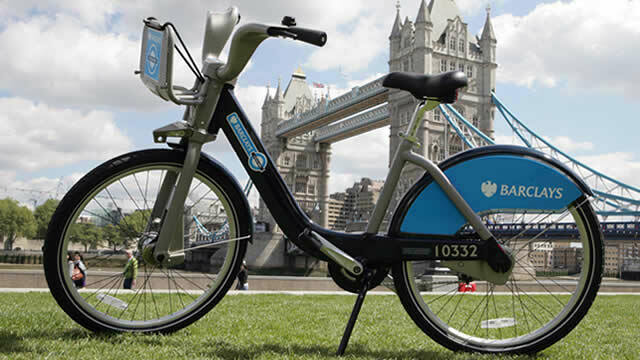 Even though Barclay’s Cycle Hire isn’t a great name, its logo is great, evocative of London’s famous Tube, subtly letting would-be users understand the real purpose of the program: efficient transportation, not leisurely rides along the Thames. While it’s too early to tell how well integrated Indego will be with our larger public transportation system, it seems Indego’s missing the chance to link its brand to SEPTA (or maybe avoiding SEPTA like the plague, depending on your opinion of the transportation authority). Regular bike share riders in other cities use their systems to “finish the trip” from a transportation hub to a bike share dock closer to home or the office, while tourists use it as a pleasant weather alternative to taxis and subways.